Eye anatomy. Artwork of the external structures of the human eye, including the muscles and tendons that control its movement. 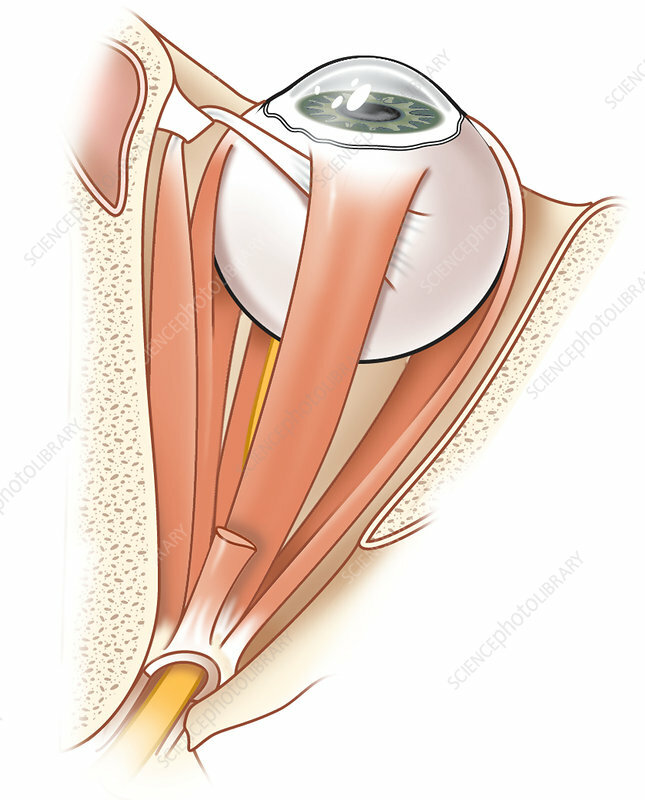 The optic nerve (yellow) is partly visible. The muscles and tendons here are the extraocular muscle, and the common annular tendon. At the front of the eye is the bulge of the cornea, with the iris (green) and pupil behind it. The surrounding bone structure is also shown.